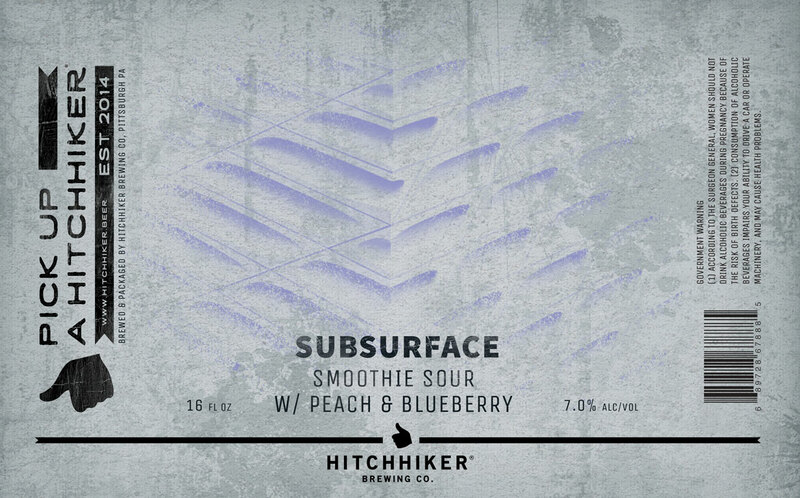 Subsurface Peach Blueberry | Hitchhiker Brewing Co. Brewed with Oats and Wheat. Conditioned on Peaches and Blueberries.